The General Body of Delhi University Teachers’ Association has resolved to continue the evaluation boycott due to the absence of apathy by Ministry of Human Resource Development, University Grants Commission (UGC), and DU Administration. 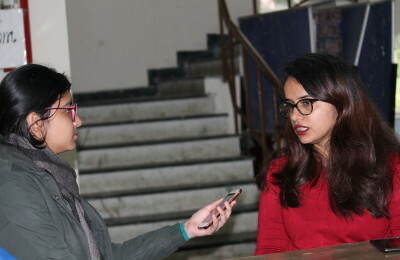 The teacher community is on a no-cooperation front until the demands of the ad-hoc professors are met, the Roster Notification of the UGC is withdrawn, and the autonomous scheme is put on back-burner. A letter by the Joint Secretary of the UGC dated 5th March 2018 is addressed to the Registrars of all central and state universities receiving grant-in-aid to implement the reservation policy of the Government of India by preparing the roster system department/subject-wise and in all categories. Till 2006, Department-wise roster system was not meeting the proportions of reservation and UGC called it a violation of the policy. UGC ordered roster system to be applied to college/university as a unit. Despite the current situation, the Government and UGC have filed SLPs (Special Leave Petition) against its own order. Teachers are appalled by the UGC’s refusal to withdraw the Roster Notification, which has also put a stop to permanent appointments (none took place since 2006) and endangered the re-appointment of ad-hoc teachers in the new session of July. This may lead to reshuffling and change in the composition of the department. As stated in the DUTA Press Release on 1st June 2018, DUTA categorically demands the restoration of status-quo of the 200-point roster and permanent appointments against the advertised posts immediately. The Department-wise roster policy adversely affects the appointment of SC/ST teachers. The problem goes beyond the University premises. Only till students of backward minorities have an affirmation of securing jobs and uplifting their status quo, will they enroll in institutions. The bigger issue is the representation of these underprivileged sections in the larger framework of our country’s democracy. Not resolving the issue is a threat to harmony and promotion of disparity in the nation. A Press Conference by DUTA along with other leaders of political parties will be organised, the date will soon be finalised. DUTA will be holding a protest programme called ‘Kali Patti Rally’ on 5th June from Mandi House to Shastri Bhawan and seeks the support of students’ groups and members of parliament. DUTA will also hold a Jan Sampark Programme on 6th June by distributing leaflets and talking to the general public on busy spots.